13th Meeting of European Communist Youth Orgs - Soviet-Empire.com U.S.S.R.
Log-in to remove these advertisements. 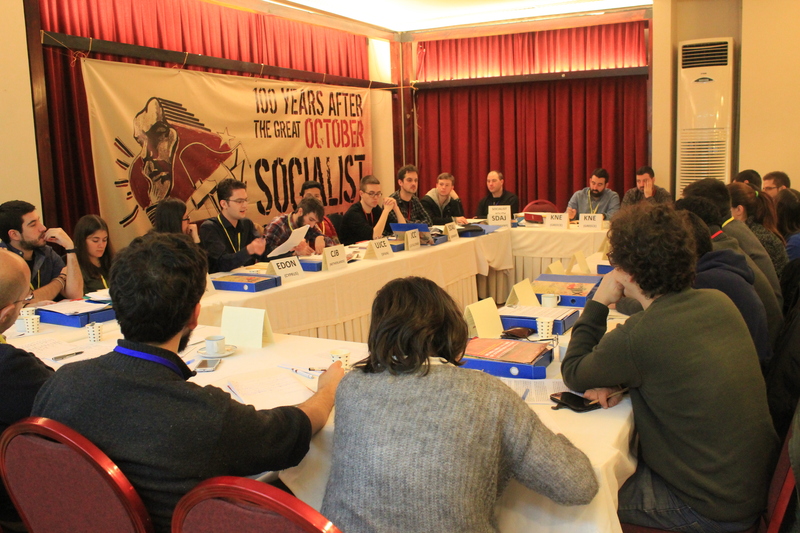 The thirteenth Meeting of European Communist Youth Organizations (MECYO), which is held annually and bringing together young communists from various parts of Europe, took place in Istanbul on 24-26 February, hosted by the Communist Youth of Turkey (TKG). While 15 communist youth organizations from 13 countries participated in the meeting, 30 delegates attended in total. The slogan of the meeting held in the context of the October Revolution was: “We are taking lessons a hundred years after the Great October Socialist Revolution, fighting for socialism, our future!” The conference part of the meeting took place on 24th of February at the following headline: “We raise the flag of October a hundred years after the Great October Socialist Revolution! We are strengthening the youth struggle in Europe for the new society, where imperialist wars, crises, refugees, unemployment, poverty and capitalist exploitation do not exist. Socialism is our future!” The discussion in this title emphasized that the October Revolution retains its timeliness and continues to enlighten the current struggle of the communists. The seminar that took place on February 25th was organized with the direction as follows: “To rebut anti-communist lies spreading in the institutions of the capitalist system. To analyze the objective reasons of the fear of communism in the bourgeoisie. To defend the heritage of the USSR and the people's republics in Europe and to fight against anti-communism today” Discussions at the seminar session showed that anti-communism has many common features in its essence, while occurring in different forms in other countries. On 26 February, the international delegation met with the Communist Party Central Committee Secretary Kemal Okuyan and discussed the political situation in Turkey, and had the opportunity to participate in two separate open events on the same day. 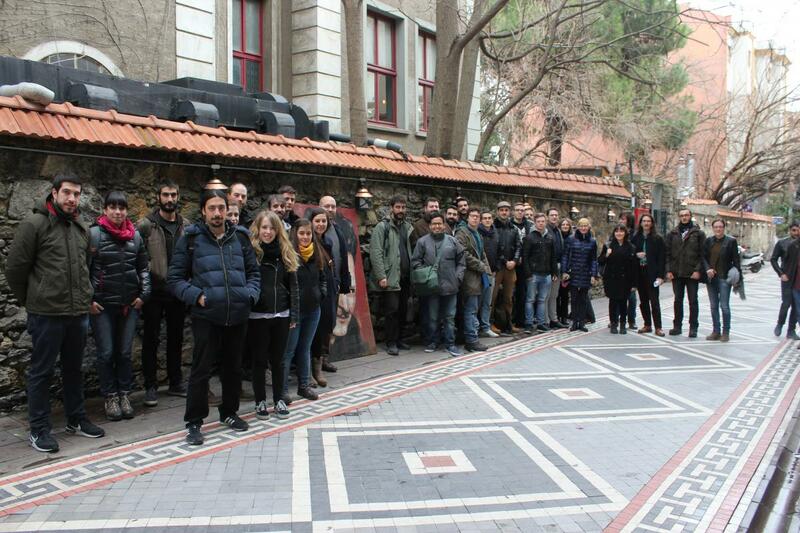 The first of the events held at Kadıköy Nazım Hikmet Cultural Center was about the impact of the immigrant crisis on class struggles in Germany. The political situation in Germany and the struggle of communists have been discussed in many ways, starting with the presentation of the German Socialist Workers' Youth (SDAJ), the youth organization of the German Communist Party (DKP). the second event that took place under the title “Class struggles in Russia a hundred years after the October Revolution” presented by the Revolutionary Communist Youth League (Bolshevik) (RKSM (b)), the youth organization of the Russian Communist Workers' Party (RKRP). In the 13th MECYO, which was successfully realized, it was decided to organize activities in all countries concerning the October Revolution throughout the year.